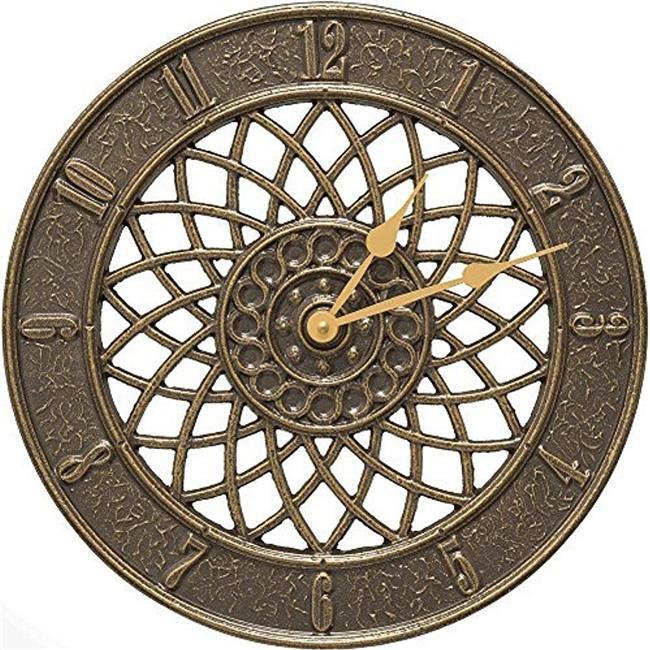 The Whitehall Products Spiral Clock will add a modern and distinguished flair to your home or outdoor living space. Features a hand made, premium grade aluminum casting that showcases an intricate, detailed design. High quality movement ensures accuracy. Manufactured in the United States from hand cast aluminum. Hand finished with a contrasting accent to complete this one-of-a-kind time piece.